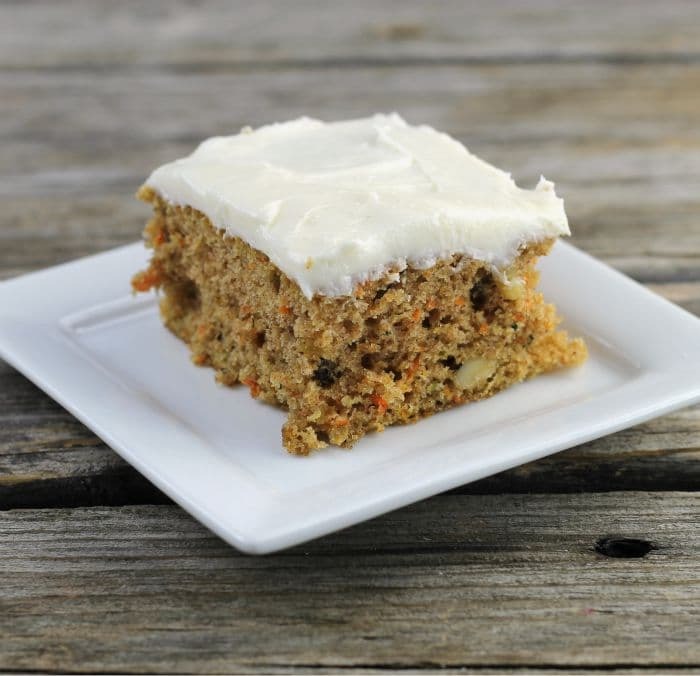 Carrot Zucchini Bars with Cream Cheese Frosting is a family favorite; the carrots and zucchini keep these bars nice and moist and the cream cheese frosting adds a little tang. 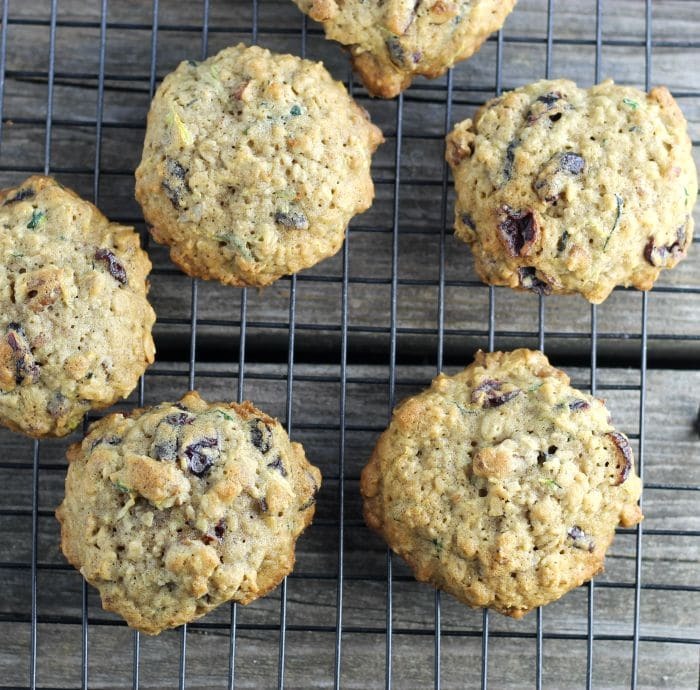 Zucchini cranberry oatmeal cookies are cakey cookies that are filled with zucchini, dried cranberries, pecans, and oatmeal. 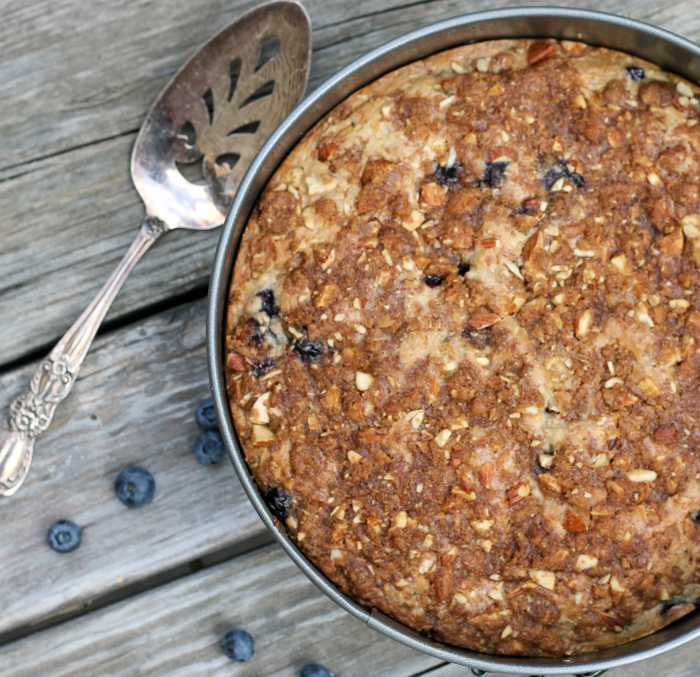 Blueberry zucchini coffee cake, a moist cake to eat in the morning or any time of day. 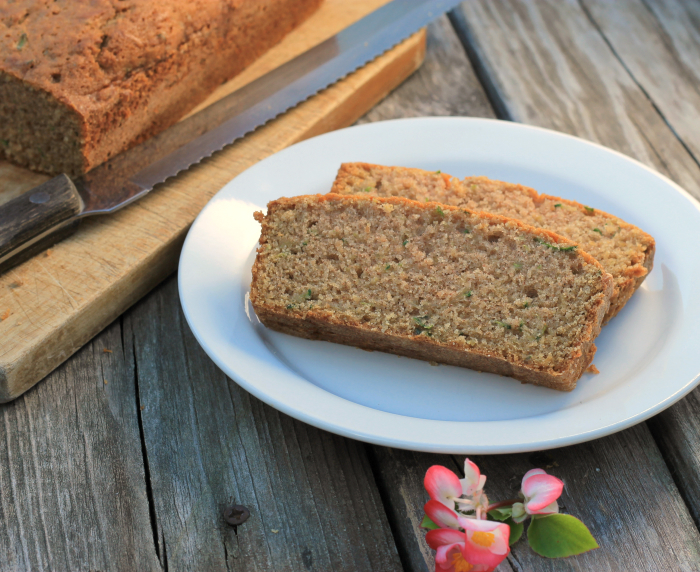 Zucchini bread… one of the favorite things to make once it’s zucchini time in the garden. The summertime is flying by way to fast. The 4th of July has past us by and before you know it Labor Day will be knocking at our door. Once Labor Day comes and goes we all know what will be following soon after that, here in Minnesota. Do you know what I am talking about? That terrible little word that most of us dread… snow. But, I am not ready to think about that yet. I am still enjoying the mild summer that we are having. Zucchini-carrot-apple bread, a super moist delicious bread. There is a feel of autumn in the air in Minnesota these days. Which means there is an over abundance of zucchini in our garden. I thought this was truly a good reason to make more zucchini bread. Simply this is the reason why I was looking at recipes in a book that I found at our public library. 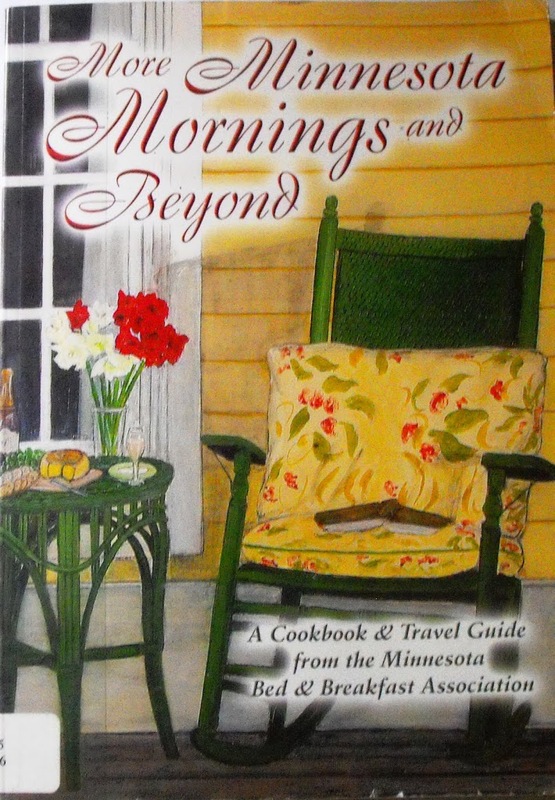 More Minnesota Mornings and Beyond A Cookbook & Travel Guide from the Minnesota Bed & Breakfast Association. I wrote about this book in a previous blog post. 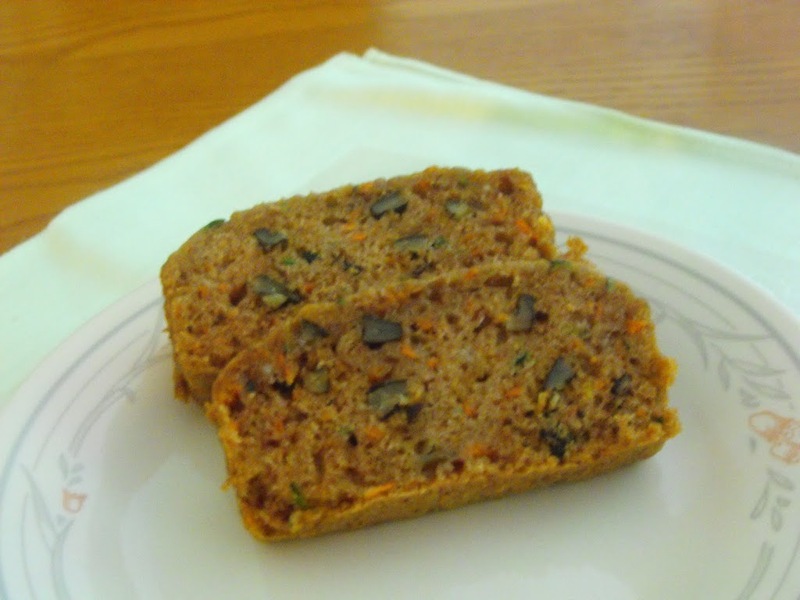 When I noticed the recipe Zucchini-Carrot-Apple Bread in the book it popped out at me. Not because it was like oh my goodness this sounds like a wonderful recipe or not even because they had great looking pictures of the bread. I would never have thought of pairing zucchini, carrots, and apples together. Remember I grew in rural Wisconsin where meat and potatoes were the staple. So, to say the least, this recipe was a little out of my cooking comfort zone. Needless to say, my curiosity was peeked, so I had to bake a recipe of this bread, just to see what this combination of ingredients would produce. Much to my surprise, this bread was quite tasty. It was incredibly moist but I really don’t think that I could taste the apples or the carrots. Maybe the flavors all blended together or maybe they were added for their moistness. I guess I need to step out of my cooking comfort zone more often!!! Preheat oven to 350 degrees. Coat loaf pans with shortening and flour. In a medium mixing bowl, combine flour, cinnamon, ginger, nutmeg, salt, baking soda, and nuts. Lightly mix to ensure even distribution of dry ingredients. Grate zucchini and carrots into a small mixing bowl. Peel and chop apple. In a large mixing bow, combine sugar, oil, eggs, and vanilla extract. Stir mixture just until combined; do not over mix. Fold in zucchini, carrots, and apple. Fold in dry ingredients mixture just until combined; do not over mix. Pour batter evenly into 5 mini loaf pans. Bake 25-30 minutes, checking regularly to confirm loaves are done. Place on cooling rack for 10 minutes, then remove from pans. Slice loaf and serve slightly warm. Enjoy! I did not have 5 mini loaf pans, so I baked them in one large loaf pan and two mini loaf pans. I would say that it would be best if you baked this recipe in one large loaf pan. The loaves were very small even in the mini loaf pans. If baking in one large loaf pan baking time should be expanded to 40-50 minutes or by sticking in a tooth pick and if it pulls out clean it is done.